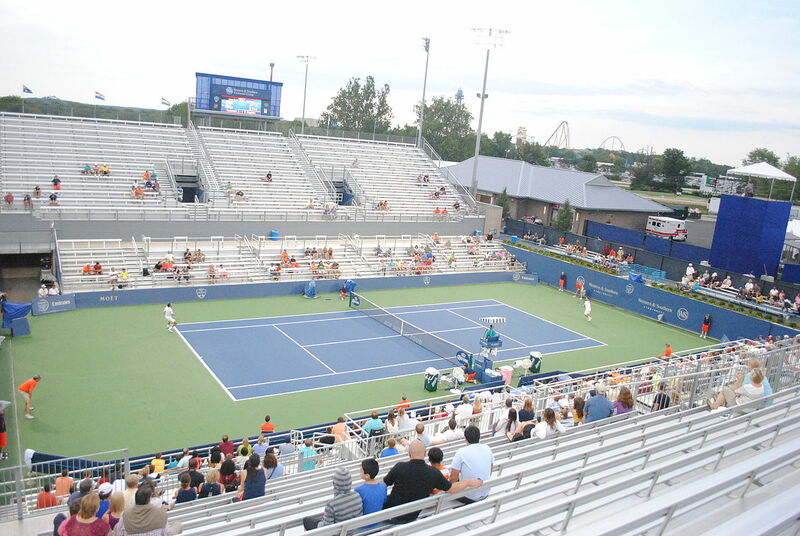 The 2016 Western & Southern Open tennis tournament on the WTA circuit for women players is taking place this week from August 15-21, 2016, at the Lindner Family Tennis Center (pictured below) located in the northern Cincinnati suburb of Mason, Ohio. Here is a list of the prize money up for grabs for the women singles tennis players at the 2016 Western & Southern Open. The Western & Southern Open is a Premier 5 Tournament event on the WTA circuit which ranks it below the Grand Slam tennis events for women players. The prize money up for grabs for the women singles tennis players at the Western & Southern Open is pretty good but well below what they can earn at the Grand Slam tennis events. In addition to the prize money for each round also listed below is how much the prize money has increased in 2016 vs what was paid out last year. The money below is not cumulative. Players only earn the amounts shown for the last round they advance to. The winner of the 2016 Western & Southern Open will earn a nice paycheck of $515,000. That is up 4% over the $495,000 that Serena Williams earned when she won this tournament last year. The runner-up at the 2016 Western & Southern Open will earn $247,300. That is up 2.8% over the $240,500 that Simona Halep earned as the runner-up in this tournament last year. Reaching the semis in the 2016 Western & Southern Open is worth $123,655. That is up 2.6% over the $120,500 that Elina Svitolina and Jelen Jankovic earned when they reached the semis last year. Reaching the quarterfinals is worth $58,390 at the 2016 Western & Southern Open. That is up 1.8% over the $57,380 that players earned by making the quarterfinals last year. Up 6.1% over the $27,640 last year. Up 7.4% from the $14,160 last year. Up a whopping 60% over $7,640 last year.